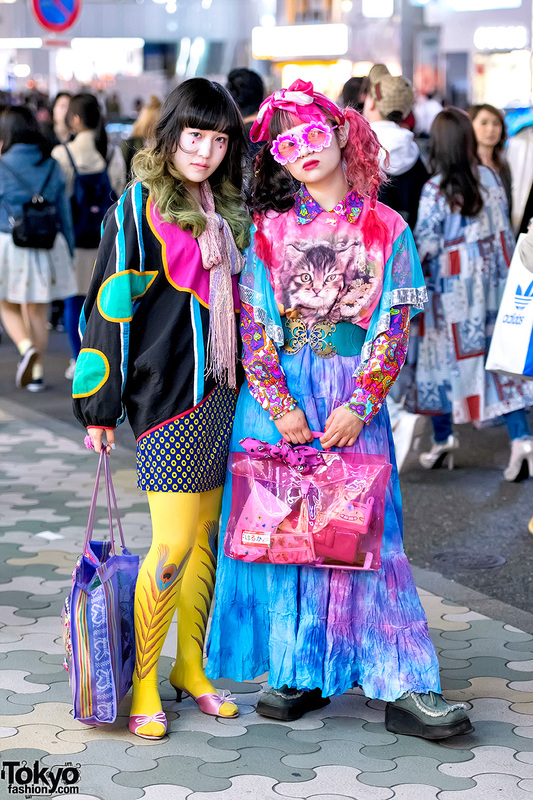 Lady Gaga fan on the street in Harajuku wearing a colorful patterned top and pants with Tokyo Bopper platforms & a Scooby-Doo backpack. Matching graphic print t-shirt and shorts with mesh and patches jacket, chain cap & molecule-print sneakers. 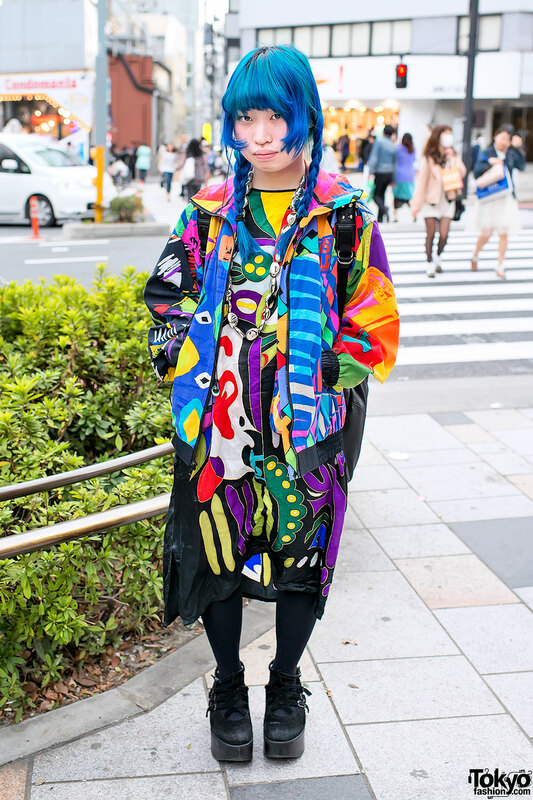 Harajuku girl with blue braids and a taste for colorful fashion and bold patterns. Warmly-dressed Harajuku girl in knit sweater dress over another sweater, knit scarf, knit socks, and chunky booties. 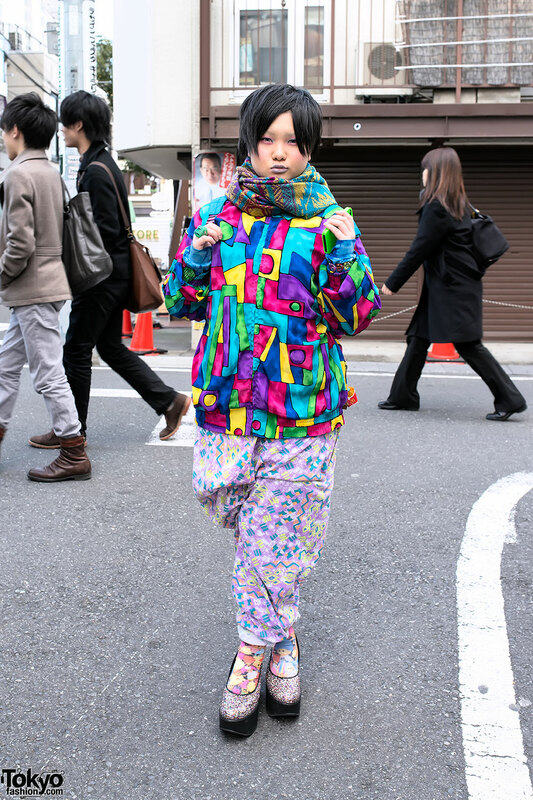 A Japanese girl and guy wearing a lot of different colored patterned clothing in the Harajuku area of Tokyo.